On the technical front Bollywood is way behind on Hollywood. 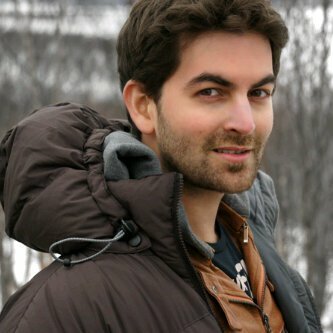 That is what actor Neil Nitin Mukesh, who will be next seen in action-flick Players feels. “We constantly talk about Hollywood and Bollywood, but I feel we are nowhere close to them what so ever whether it is in terms of technology or processing or story line or execution or anything. Hollywood came with their ‘Superman’ and all came 30 years back and we hardly made a film like ‘Krrish’ that has worked for us,” he added. “So we are way way behind them…that is because there audience have accepted futuristic films… because movies are meant to be made to believe, they are meant to be larger than life. It is not like that our films are bad but we are not catering and guiding to our audiences,” he said. But Neil does feel Bollywood will be able to go to the next level soon. The actor however is all praise for the execution of the film Players by the director duo Abbas-Mustan, where he essays the role of a computer hacker. “The one thing that I admire about Abbas-Mustan is that from Khiladi to Players they have always progressed with time. Players is slightly advanced in its time. Its a very well shot film. Their thinking is not old-school, they are very stylish. Players, which releases on January 6, also stars Abhishek Bachchan, Bobby Deol, Sonam Kapoor, Bipasha Basu, Omi Vaidya and Sikander Kher in pivotal roles.